Zoho PhoneBridge - Partnership program for PBX and call centre solution providers. Integrate your PBX or Contact Centre with Zoho. The Zoho PhoneBridge platform is the single point of entry to make cloud PBX and Contact Centre Solution providers an integral part of Zoho's suite of business applications. Leading PBX vendors and call center solutions worldwide integrate with us using Zoho PhoneBridge. “Partnering with Zoho produced an amazing synergy between both the teams. Our partnership went live in a month, allowing our customers access to a world-class platform.” - Bryn Nettesheim - Channel Marketing and Communications, RingCentral. What you get out of this partnership. Use PhoneBridge to let sales reps complete calls with a single click from Zoho applications, and create an integrated phone system that offers more value to potential customers. 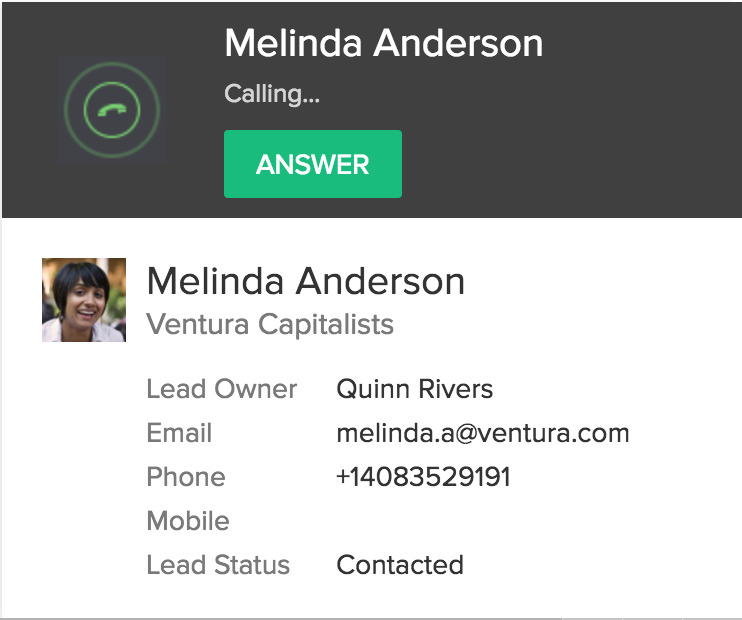 Your integration will give call pop-ups on all incoming calls, notify agents of any missed calls, and let them set reminders for their outbound calls. 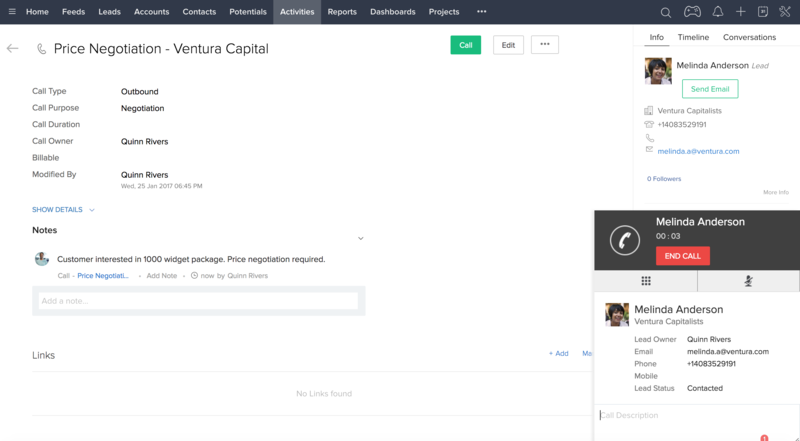 Display a business card view of Zoho details and information on any relevant information, every time agents connect with a lead or customer. Offer more than just a phone system, by using Zoho PhoneBridge's reports and call analytics APIs to provide agents with valuable insights based on their call data. How to become a Zoho PhoneBridge partner. Apply to become a Zoho PhoneBridge partner. Upon approval, our partner relationship team will get you onboard and provide access to our platform and it's API collection. Our collection of robust PhoneBridge APIs will help you swiftly complete and publish your integration and a dedicated PhoneBridge team will also assist you at any stage of development. We not only help you develop the integration, but assist in marketing as well. Leverage Zoho's strength and sell through various marketing channels, thereby giving your product added visibility across 60+ countries.